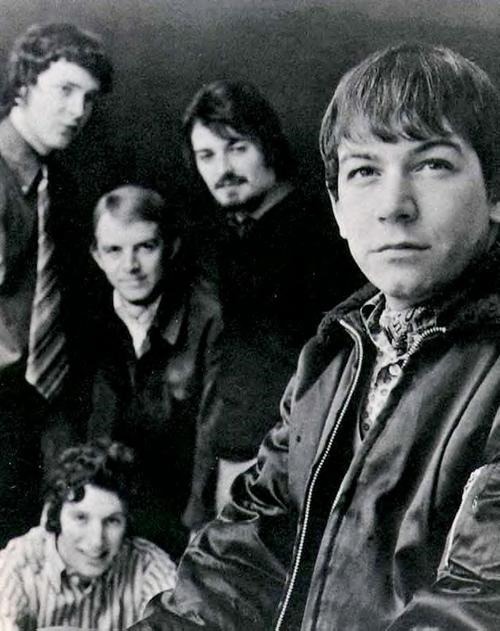 Eric Burdon and the Animals had a considerable run of hit singles in the 1960s. To the degree that we remember that output today, it’s to recall songs that Burdon’s voice made famous, though they were written by outside writers: “House of the Rising Sun,” “We Gotta Get Out of this Place,” “Don’t Let Me Be Misunderstood.” All great songs, all great performances, but what’s forgotten are the songs Burdon himself wrote. That’s not an accident. Eric Burdon as a writer was often topical, writing about social and cultural events while they were current, before the ink had dried on things; and he was heart-on-his sleeve sincere, without protective layers of irony that made Jagger/Richards or Ray Davies harder to pin down. These things sometimes make his writing seem dated or naïve, but I think folks don’t value his commitment to immediacy enough. And then there’s Burdon’s steady stance against racism, something he never gets enough credit for. Fifty years ago Burdon and the Animals visited San Francisco and he commented favorably on the warm climate and the altruism; and while charmed by the chemically-enhanced visionary culture they found there, Burdon noted issues with police/public interaction and recommended that the American Dream should include Indians too. That bit of reportage was a top-ten hit record in the US and the UK. To me, a lot of the charm of that record is its spoken word opening, a deadpan “Dragnet” parodying recital of the worth of experiencing San Francisco. Spoken word—sounds like a Parlando Project idea! So this is my rough parody* of warm summer “San Francisco Nights” written in and for the cold winter city of Minneapolis. It’s 9 degrees F. as I write this, and the temp is dropping overnight. Snuggle someone if you’ve got the chance. As Blue Oyster Cult once reminded us: “This Ain’t the Summer of Love”. To hear my Minnesota take on snow emergencies, tow trucks, and chilblains click on the play gadget below. * Yes, I know Drew Carey did another San Francisco Nights parody, using Cleveland in his version. He got Joe Walsh to play guitar on his, so obviously better than my one-take approximation—but he skipped the opening narration, and that’s the best part!